I am thankful for a lot of things in life. My family, friends, good health and being able to kayak on the Potomac River anytime I want. Since this is a Celtics site, I&apos;d like to give thanks to a person all Celtics fans should be thankful for: Danny Ainge. The privilege of watching Rajon Rondo pass the basketball. No one plays like Rondo in the league. While he may not be the best at his position, he is without a doubt the most unique. It is a joy to watch. KG&apos;s intensity. I know KG talks trash. I know and can understand why opposing teams wouldn&apos;t like him. But if you can honestly say you wouldn&apos;t want him on your team than you are kidding yourself. 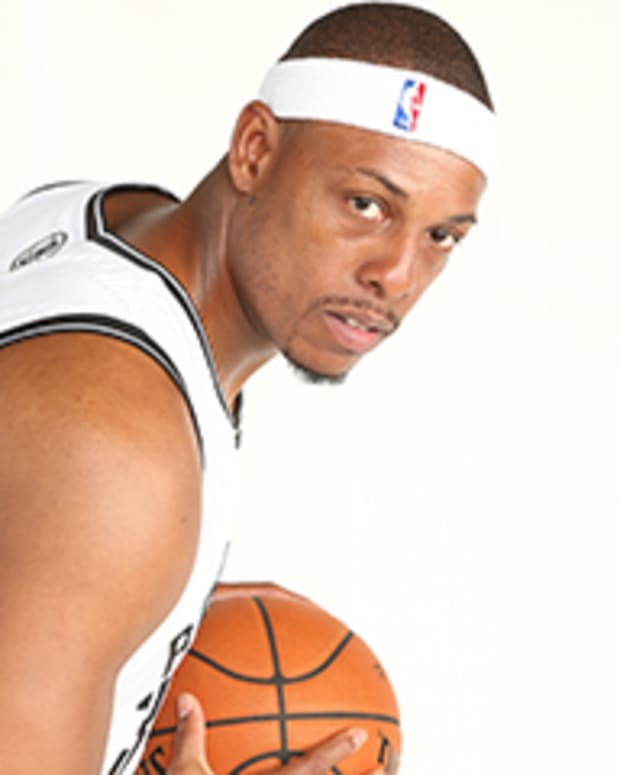 Paul Pierce. This guy has given so much to this franchise and deserves to be considered amongst the greatest Celtics that ever lived at the end of his career. His step back jumper is a thing of beauty. Ray Allen and Ray&apos;s Mom: Ray Allen is just an outstanding human being and still has the smoothest jump shot in the game. It&apos;s great seeing Ray&apos;s mom cheer him on during the games. Shaq: Sure he&apos;s old. Sure, he has been disruptive to a few teams. But the guy is playing great this year and has been a positive impact on the community. How many athletes volunteer to take pictures with random people in a park. Perk: Best defensive center in the league. Best glare in the league. Can&apos;t wait till he gets back. Big Baby: The best person at taking charges in the history of basketball. Current 6th man of the year. One of my favorite athletes in all of sports to watch. We are privileged to have such a great sports team to cheer for. Be thankful for the Celtics. Have a Happy Thanksgiving everyone! NBA: What Does Losing Perkins, Gaining Green Mean for Celtics? Celtics Pierce on Playing Knicks in Playoffs: "Fans in for a Treat"